ABC Limo is a reputed limousine company providing high-quality limo services in Hamilton. For the past many years, we have been serving our residents and corporate clients and helping them ride in style. Whether you want to attend a concert or need to arrive at your prom, we have you covered. 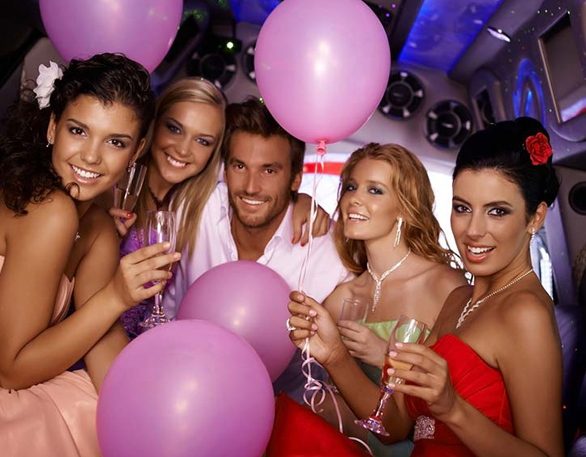 We have an extensive fleet of limos and party buses fully equipped with all the modern amenities. No matter, you are traveling alone or with a group of friends or family, we have everything you need to make your ride enjoyable and memorable. With a fleet of clean and maintained stretch limos, sedans, town cars and party buses, we provide customized travel packages for special occasions. Choose our limo rental services in Hamilton to make your special occasion more special. We will take care of your safety and comfort right from the beginning of the trip until the end. With all the modern amenities, we ensure you have a hassle-free ride with us. This package is suitable for people who want to arrive at a destination in style. Our chauffeurs will pick and drop you at your destination. This one-way transportation is applicable on hourly basis with no waiting time. In two way transfer package, we will pick you up, drop you to the destination and again pick you for a return trip in the same limousine you hired. If you want to rent our limo in Hamilton for an hourly basis, we have you covered. Our limo drivers are available 24/7 to provide hourly service with 4 hours, 6 hours, 8 hours and 10 hour rental packages.